When you are enjoying an outdoor evening with your friends and family, the last thing you want to worry about is their comfort when they sit down. A night of grilling or just relaxing outside can be made awkward and disappointing if people are forced to sit on uncomfortable patio furniture. And even the best patio chairs can become uncomfortable if the foam used in the seats has become worn out. If this is the case, you need to consider a cushion replacement. Many people choose to just throw out their patio furniture when the seat cushions become worn out and uncomfortable. This is a waste of money when all they need to do is purchase replacement foam cushions. Buying a new foam cushion for your patio chair is very affordable and they are very easy to replace. Getting a replacement foam cushion isn’t a problem even if you have a patio chair that is an unusual size or shape. Purchasing custom foam cushions from a leading retailer of replacement foam is simple and doesn’t cost a lot of money. It’s important to make sure that you are getting the right replacement foam when you are buying it for outdoor furniture such as patio chairs. Foams that are made for indoor seats will not hold up in the elements. Rain, sun and other factors will cause these foams to deteriorate or become heavily damaged in a short amount of time. The better option is to purchase specific outdoor foam that is specifically designed for the unique wear of being exposed to the elements. The Foam Factory is one of the leading retailers of replacement foam for furniture of all types. 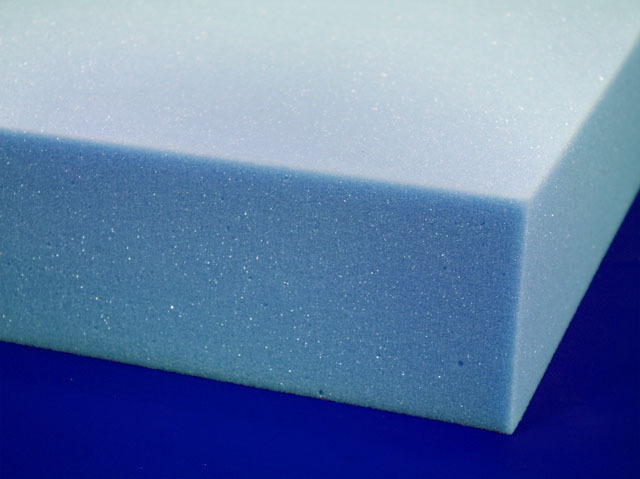 They also sell acoustic foam, child safety foam and packaging foam.